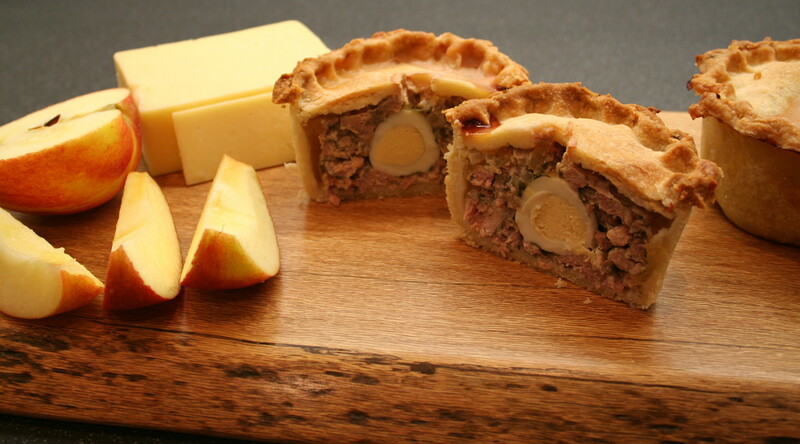 I have been wanting to make these intriguing English pies for as long as I’ve lived on this muddy little island. I suppose I’ve been irrationally put off making them due to an unfounded belief that they’re unreasonably involved and intricate to make. Granted, this recipe is not entirely authentic – I didn’t boil pigs’ trotters to render the gelatine which holds them together, instead I used shop bought leaf gelatine which easily dissolves in warm water. A few weeks ago they were featured on The Great British Bake Off, and as I sat on the couch watching the programme intently, soaking up every tip and technique I could, I decide I had to make these. This take on the pork pie is adapted from master baker Paul Hollywood’s recipe – and makes six pies.